Time for an SRTA route that actually goes somewhere! Today, we’ll be taking the NB 11 out of New Bedford into Fairhaven, which is…a town. That has a very deviation-filled bus route. Ouch. Not my best photo. Now, there is a very convenient bridge straight into Fairhaven from downtown New Bedford. But wait, the 11 has to serve Market Basket first! Alright, we’ll take a ridiculously long route, then. We headed up Purchase Street, then we turned onto Hillman Street, crossing over the JFK Memorial Highway. 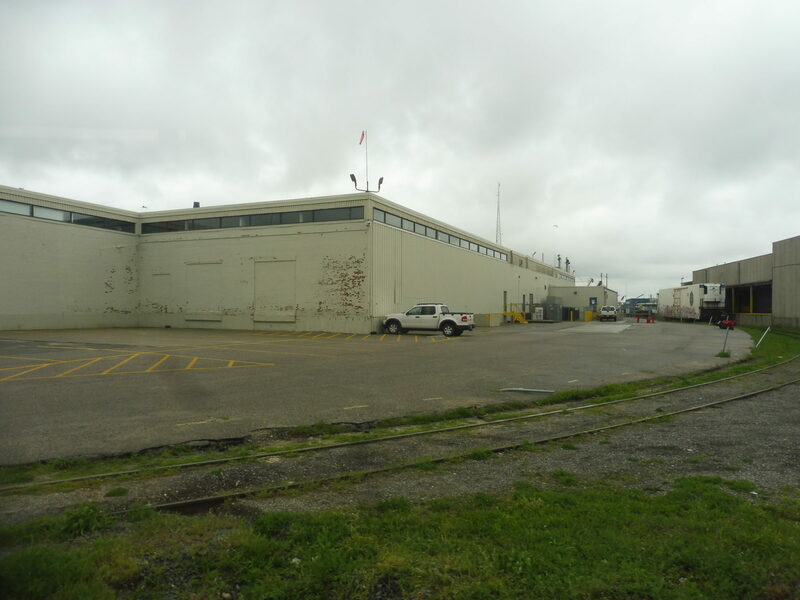 Now in an industrial area, we had to snake around to get onto Herman Melville Boulevard, a truly awful road with absolutely nothing that anyone would want to take a bus to. But hey, at least we’re heading toward Market Basket! The road became Front Street, and once we went under I-195, we entered a real neighborhood with apartments and businesses and turned onto Coggeshall Street. 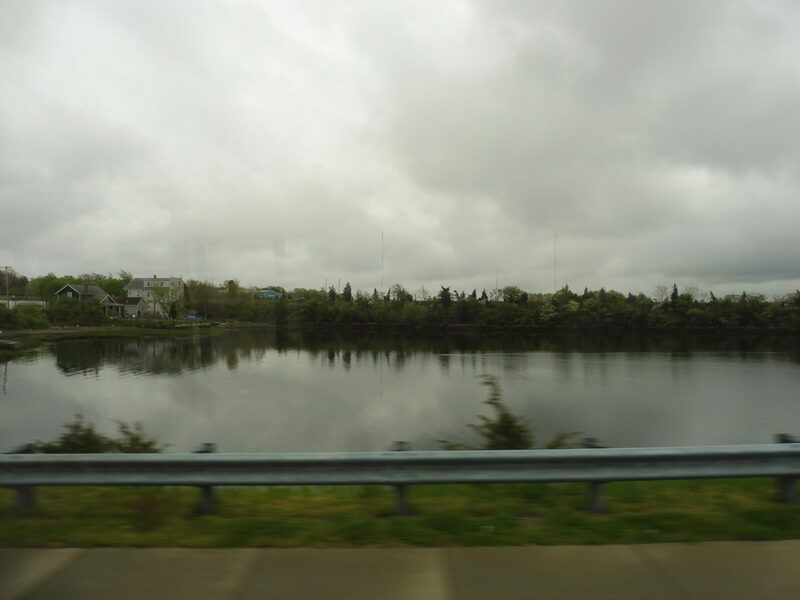 We performed our little Market Basket deviation and returned to Coggeshall Street, and now it was finally time to cross the Acushnet River into Fairhaven. The street became Howland Road, and we were in a neighborhood of single-family houses. That line of trees is I-195. We turned onto Main Street, passing a cemetery and an apartment complex, but it soon turned to houses again. There is a small “downtown” Fairhaven with some pretty dense houses and a few businesses…but the 11 turns onto Huttleston Ave a half mile before it (Huttleston Ave, incidentally, is the direct bridge from downtown New Bedford). This wide street took us past the Fairhaven High School and some suburban businesses. The side of a Walmart. And now, we entered the 11’s two-pronged deviation loop. 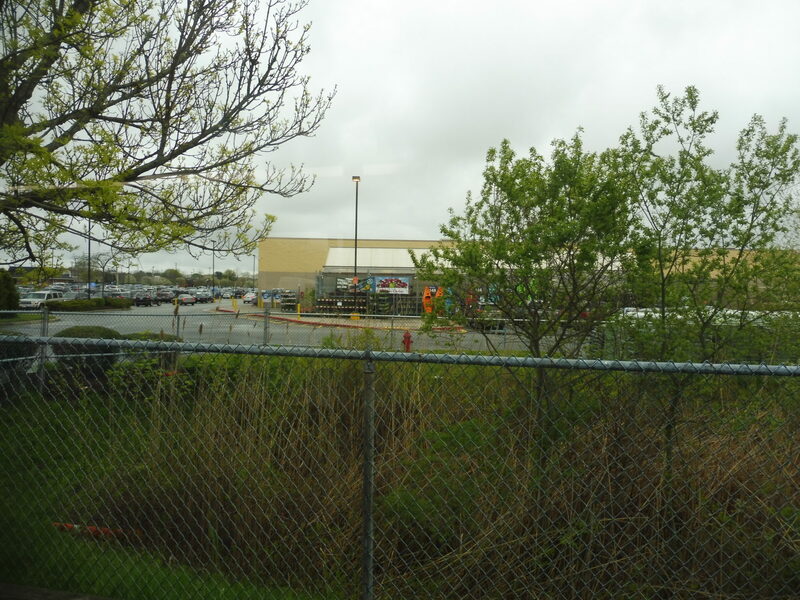 First, we turned onto Bridge Street, passing a Walmart on-street but not deviating into it. 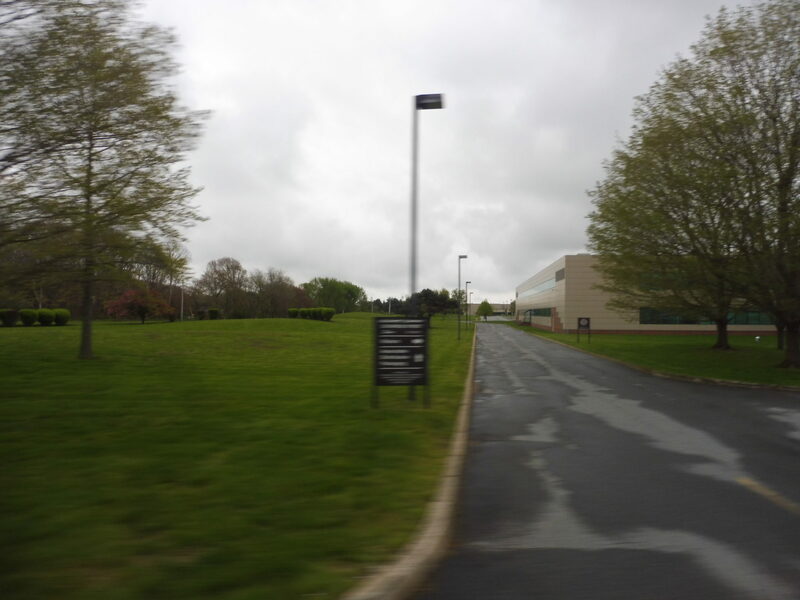 Once the road crossed Route 240, there were just sparse office parks with trees and fields in between. We turned onto Mill Road, taking us up to Southcoast Health System, which is where I had to leave the bus for the sake of time. One of the office parks. The route does continue, though, if “continuing” means “going back the way it came.” Yes, the bus comes all the way back to Walmart, except this time, it does deviate into the big box store. But it’s not over yet: it continues onto Alden Road, passing a few more shopping plazas, then it turns onto David Drown Boulevard. This takes it to its final deviation at Stop & Shop, and from there, it goes straight back down Huttleston Ave to make its way back to New Bedford (via Market Basket again, of course). The bus at Southcoast Health. Ridership: It’s not terrible: about 370 riders per day. The 11 actually ended up being the New Bedford route where I saw the highest ridership, with 12 people total on the ride. However, all but one of them were gone by the time we got to the deviations. Pros: Fairhaven is reasonably dense for a suburb, and the ridership shows that there is demand for a bus here. 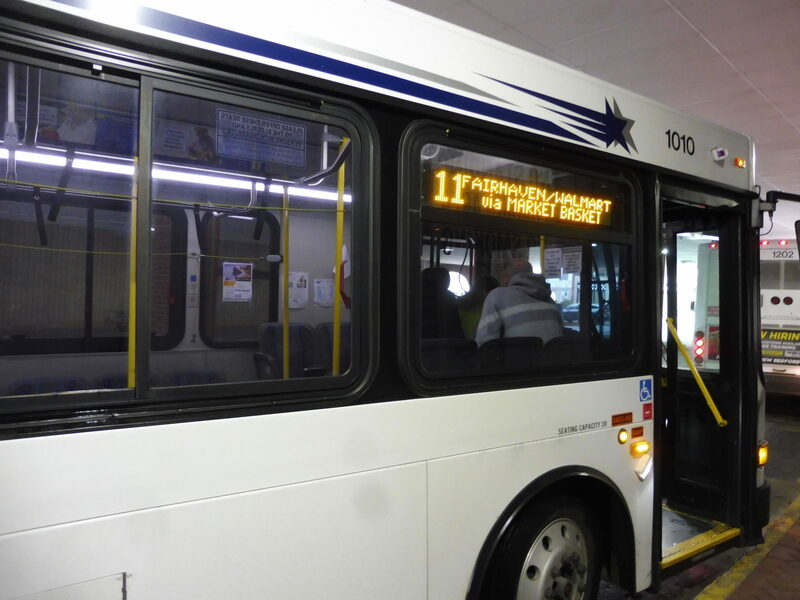 Service is also consistently frequent, with service every half hour weekdays and Saturdays. Cons: Service span is sacrificed for frequency, though: buses stop running at 6:30 on weekdays and 5:30 on weekends. More importantly, though, this route is a mess. 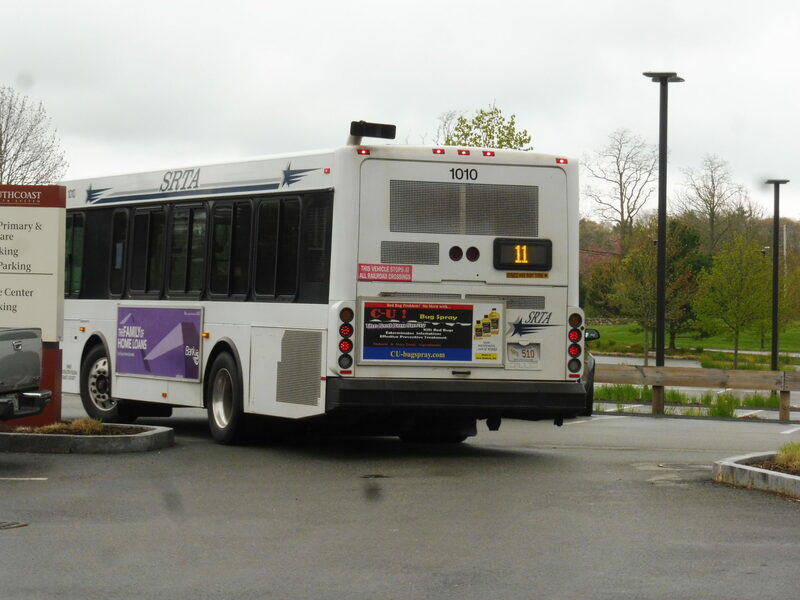 Because the bus has to go all the way up to serve Market Basket, it takes forever to actually get into Fairhaven, and once you’re there, the bus skips the densest parts of town in favor of its really convoluted terminal loop. Sure, the route is frequent, but if it’s gonna take you 35 minutes to get to a generic Stop & Shop (which takes ten minutes to drive to), is it really worth it? Not to mention the route screws over everyone living in the actual dense parts of town. Nearby and Noteworthy: Cap’n Barnacle’s Mini-Golf? Sign me up! Also, downtown Fairhaven looks like a pleasant place to spend an afternoon. The problem is that it’s a ten minute walk from the bus, which already takes 20 minutes just to get to the closest intersection. At that point, you might as well walk the whole way.